Europe’s leading health, natural and nutrition show, Hi Europe & Ni, is celebrating its 10th edition with a move to a larger hall at Messe Frankfurt this year. From 27-29 November 2018, visitors will be able to access all of the show’s many features and live events under one roof. In addition, the Healthy Finished Products Expo will launch this year and Health & Nutrition Week will run once again, following a successful debut in 2016. Located in the heart of Germany, the leading European market for health and nutrition, Hi Europe & Ni is the premier nutritional ingredients event, offering the best in business opportunities, networking connections, trend insights and product development solutions. The industry has evolved significantly in recent years and, as vegan, vegetarian and flexitarian lifestyles move from niche to mainstream, the market is entering a new era of clean label food and beverage products with rising numbers of natural, organic, functional or “free from” claims. According to Euromonitor, products positioned towards food intolerance, fortified, functional, naturally healthy or organic are expected to enjoy global growth of 5 percent in retail value terms every year until 2020. In contrast, products with reduced sugar, caffeine or fat content will grow at just 1 percent. The “naturally healthy” sector is ripe for innovation: valued at €251 billion in 2015, further growth of more than €63 billion is expected by 2020. Hi Europe & Ni 2018 will reflect this booming marketplace with numerous not-to-be-missed highlights. Spanning three days, the event provides a complete overview of the health and nutrition industries. International leaders in healthy food and beverage innovation will showcase the latest solutions for food and drink formulation and reformulation, dietary supplements, nutraceuticals, organics, packaging, processing – and more. In excess of 465 exhibitors are confirmed, including global players such as ADM, BENEO, Glanbia Nutritionals, Lonza and Naturex. More than 10,000 attendees from 94 countries are expected to attend and explore several themed pavilions: Organic, Natural, Free From, the Healthy Finished Product Expo, Expo FoodTec and country pavilions. Health & Nutrition Week will run alongside Hi Europe & Ni 2018, offering a top-level thought leadership programme, starting on November 24. 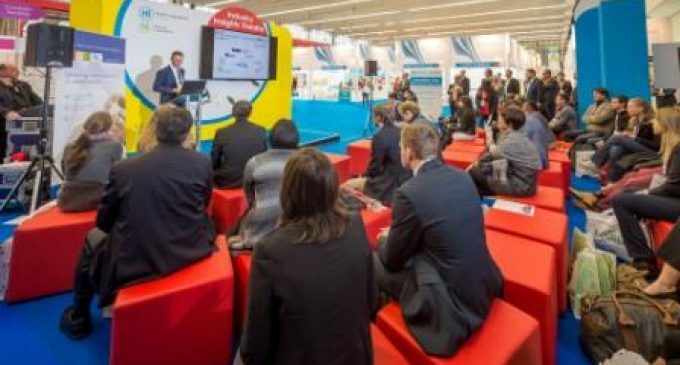 Working together with external experts from the food industry, academia, market research and more, organiser UBM has created an inspiring line-up of topical presentations and workshops. The Week includes, for example, the one-day Hi Future of Nutrition Summit on November 26, which will explore cutting-edge innovations that are likely to change the food and beverage industry. On November 27-28, the immersive, interactive Hi 5-Senses Conference will target all five senses via an insightful mix of keynote presentations, panel discussions and debates. Additionally, on November 29, it is the third year that women in the industry are invited to attend the Women’s Networking Breakfast to make connections and share advice – and for the first time this year, also men are invited to join. UBM’s main partners for Hi Europe & Ni 2018 are KSM 66, Mintel and Innova Market Insights. For Health & Nutrition Week 2018, UBM is working in partnership with IUFOST, ESSNA, ProVeg, StartLife and Smart Short Courses.